What is it about linen? I have a deep love affair with it. 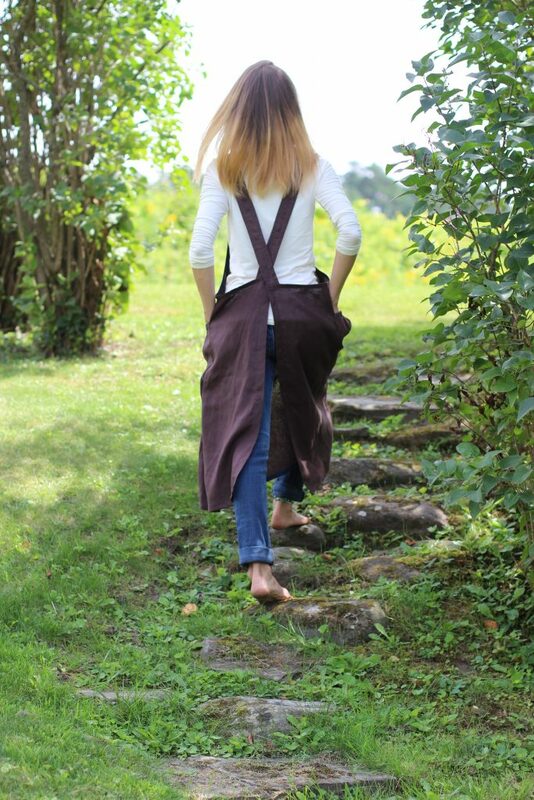 I love linen aprons. It is my perfect design companion as it flows beautifully into whatever shape I create. Even ridiculous shapes that will never hit the market, linen plays well with me and does its expected part to look beautiful, even with wacky hips and wings, it plays so very well. (I really loved those pieces, could I offer them as art to wear? That could be fun). But I digress. Even in deep chocolate brown, linen has a luster that cotton can only admire. Even without colorful prints the colors of linen are deeply rich, and elegant. It’s many tones play out in the light or deepen in the darkness, depending, of course, where you are. 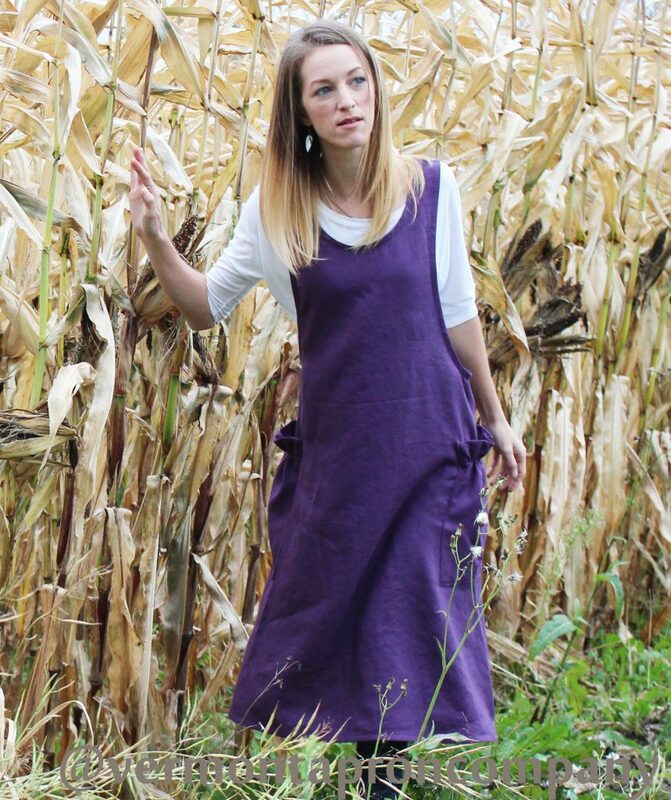 The Linen Aprons always stand out among their sister products. Linen pairs well with accessories, we recently learned. 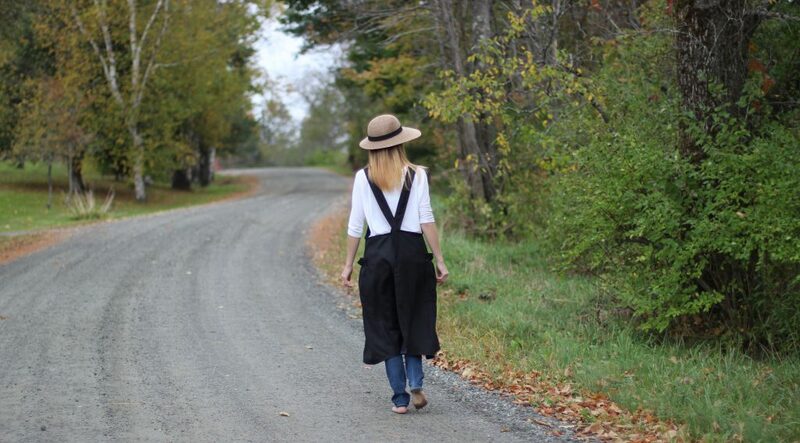 A simple straw hat perfected this look. The jeans and the tee became nearly refined and stately. 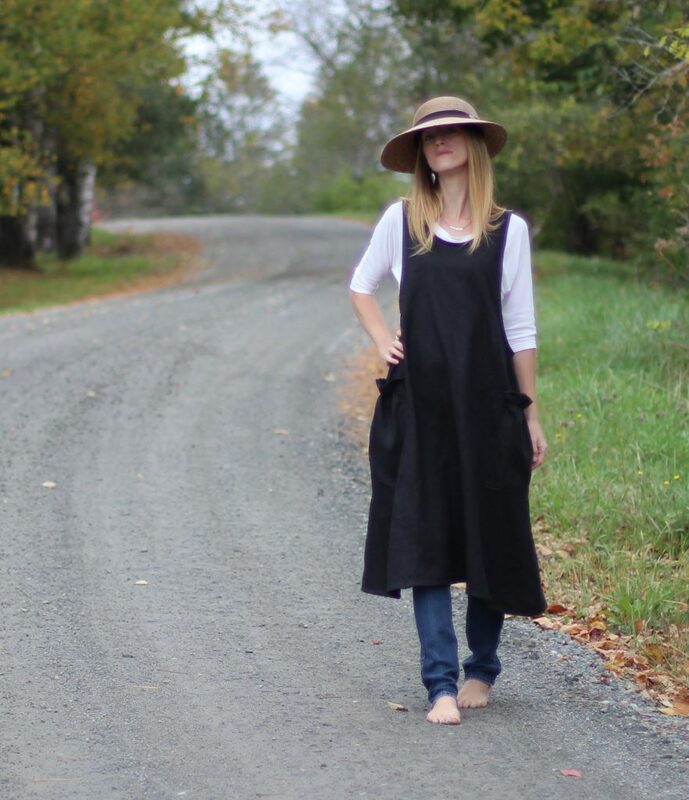 Black linen covers everything beautifully, whether casual wear or a long garden dress, it adds a bit of refined grace. This has been our first year playing in linen’s palette. Even with the addition of colors, sales tell us that grainy looking Oatmeal linen remains your favorite. We had added a summer palette and learned more of what you like. As Autumn approached, we moved into the palette’s darker tones, now offering a classic Black and also Eggplant linen. Eggplant is a deep, gentle purple tone that brightens and makes a statement but still courts the attention of classical traditionalists. With every piece we introduce to you, we learn more of your preferences. Thank you for all the mail, we love the correspondence. And maybe in our plan for next year, we will add an Art to Wear page where we may explore the unconventional for fun, laughs and simply pushing the edge of Apron design. 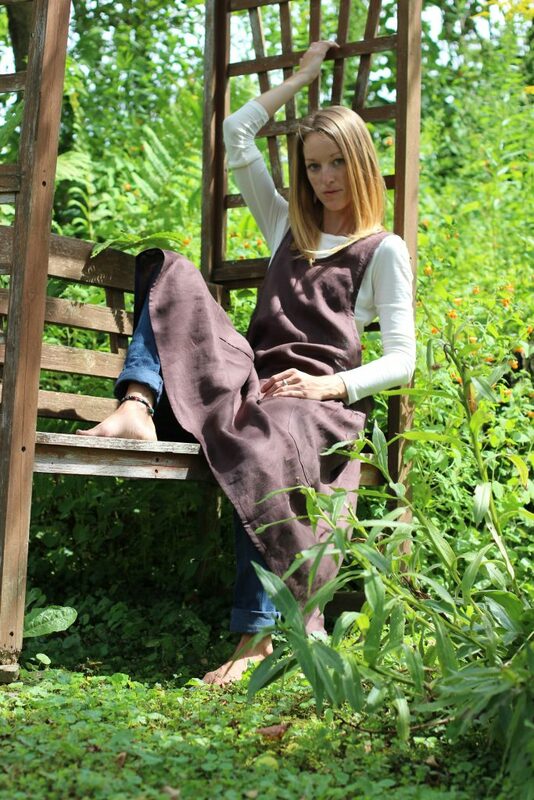 For now, we are very thankful for the response to our linen aprons. They are now firmly rooted in our collection.